If you book an American city break anywhere this year, it simply has to be New York City. The Big Apple sees millions of tourists flock to its streets every year, in search of that buzz that only New York can give. The city that never sleeps is full of bright lights, restaurants, bars, skyscrapers and iconic landmarks. One thing’s for sure; you certainly won’t find anywhere quite like New York. This is a tricky one because there really are SO many different options available to you. A lot of tourists tend to flock to Times Square and seek out the big names that they already know and love. However, you will also find that many people (particularly the locals) will head off down the side streets and away from the bright lights to the little, independent restaurants that nobody outside of New York has ever heard of. Of course, you don’t want to forget about some of the amazing food you can grab on the go. And no, we’re not talking about a typical McDonald’s. Try to sample a bit of everything and you’ll be sure to leave New York feeling full up and satisfied. If you want some reliable American cuisine, make sure you go to the Hard Rock Cafe in Times Square. The inevitable long wait for a table is made easier by the rock memorabilia that adorns the walls. Failing that, one of the classic Hard Rock burgers and a cocktail will do the trick. Some other fail safes are the Red Lobster or Bubba Gump Shrimp Co. – both of which can be found right in the middle of Times Square. If you’re into seafood, you can be sure of a good meal at both of these chain restaurants. For some good, old-fashioned street food, try Los Tacos No. 1 in Chelsea Market. 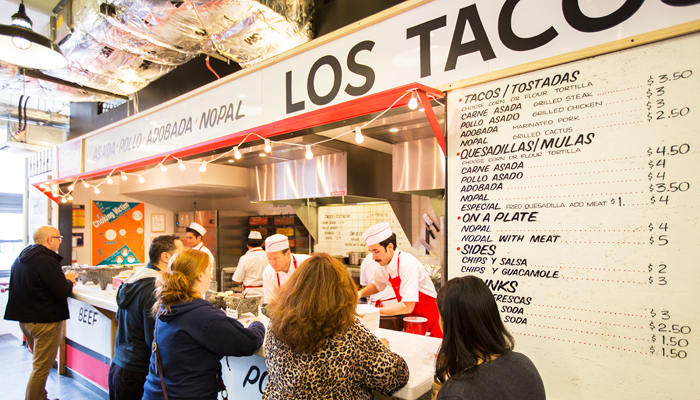 Have a wander around the stalls and grab a taco for lunch – you won’t be disappointed. This taco bar is one of the very best eateries in the whole of New York city! There are also numerous pizza joints around the city, any one of which is guaranteed to give you a generous slice for an amazing price. Try Capizzi in Hell’s Kitchen for one of the best pizza and beer snack stops in town. New York also has hundreds – if not thousands – of individual restaurants with something for everyone. Whether you want a traditional steakhouse or some authentic Chinese food, head to the independents for a real taste of the city. Daniel on 65th Street specialises in experience dining, so if you want to blow the budget and have an amazing meal out, be sure to check out this French restaurant. Alternatively, Club A Steakhouse on East 58th Street has rave reviews on TripAdvisor and is one of the best ranked restaurants in the city. If you want a classic American steak, this really is the only place to go. New York is a mecca for shoppers and you can’t pay a visit to the Big Apple without hitting infamous Fifth Avenue. Featuring the very best in high street and designer stores, the main street through Manhattan is home to the likes of Tiffany & Co., Harry Winston, Chanel and of course, Saks Fifth Avenue. There really is no better place to spend your holiday dollars than the shopping heart of the world. 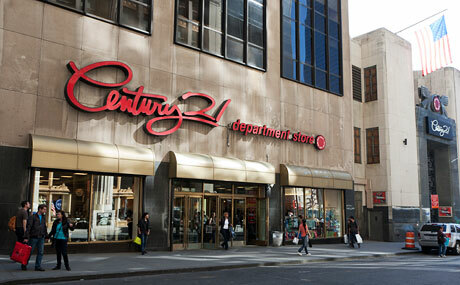 If you’re on a tighter budget but still love the designer labels, be sure to visit Century 21 in Lower Manhattan. This outlet store has your favourite designer brands for a fraction of the cost; perfect if you want to treat someone back home or just go all out for yourself. You may find yourself with a bit of spare time on your hands, in which case take a bus upstate to the Woodbury Common Premium Outlet. It’s about an hour out-of-town, but worth the drive as you can buy a suitcase there and then fill it with all your new purchases. If shopping is your main priority, Woodbury Common is a must-see; over 200 stores with amazing discounts cannot be ignored by a true shopaholic! 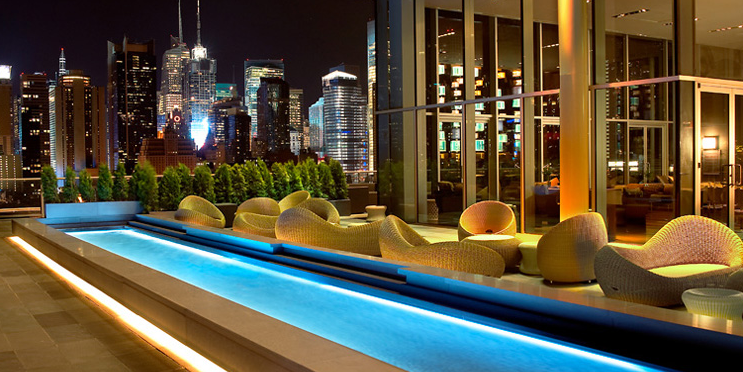 New York has several iconic hotels that you can stay in; it’s just a matter of choosing one. Many of them are located in the centre of Manhattan, making it easy to get around to the different boroughs. If you want a truly luxurious, classic hotel, the only place to stay is the New York Palace. Featured in several hit television shows, The Palace has over 800 guest rooms and more than 80 suites. Situated directly opposite St. Patrick’s Cathedral on the corner of 50th Street and Madison Avenue, it’s in a great location for getting all over the city. Or why not relive the infamous Home Alone 2 movie and stay at The Plaza on Central Park? This grand hotel is a landmark in its own right and has everything to offer – including spectacular views of the park. Whether you’re on a romantic break away or a fun weekend with friends, the Plaza can cater to every need and give you the experience of a lifetime. Alternatively, if you want something super modern and a bit different, check in to Ink48 in Hell’s Kitchen where you’ll find stunning views over the Hudson River. This hotel boasts spacious rooms and something unique amongst the skyscrapers of the city – perfect for a little bit of escapism and we love it! So now you have a list of some of the best places to eat, shop and stay, you just need to work out what you want to see on your trip. 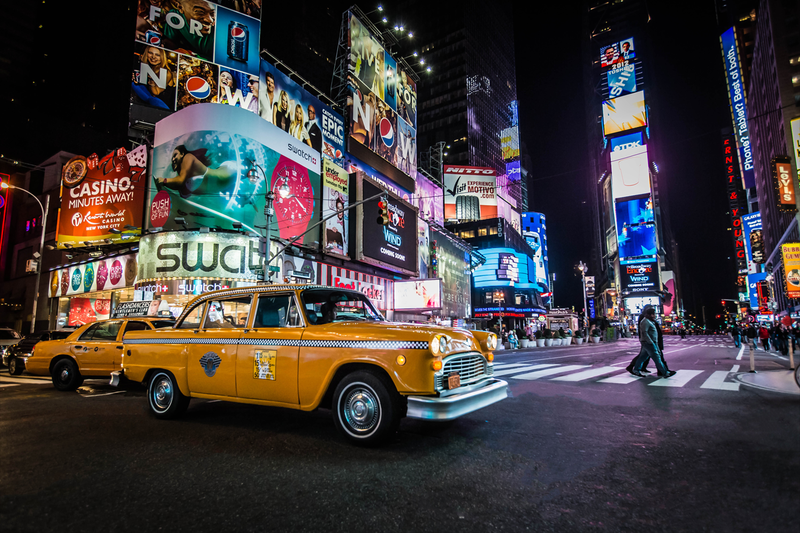 With so much on offer in New York, you’ll be spoilt for choice; the Empire State Building, Top Of The Rock, World Trade Center, Liberty Island, Museum Mile and the Brooklyn Bridge are all must-visit locations. We’d recommend making an itinerary of the places you want to visit, so that you can fit everything in and won’t miss anything along the way. 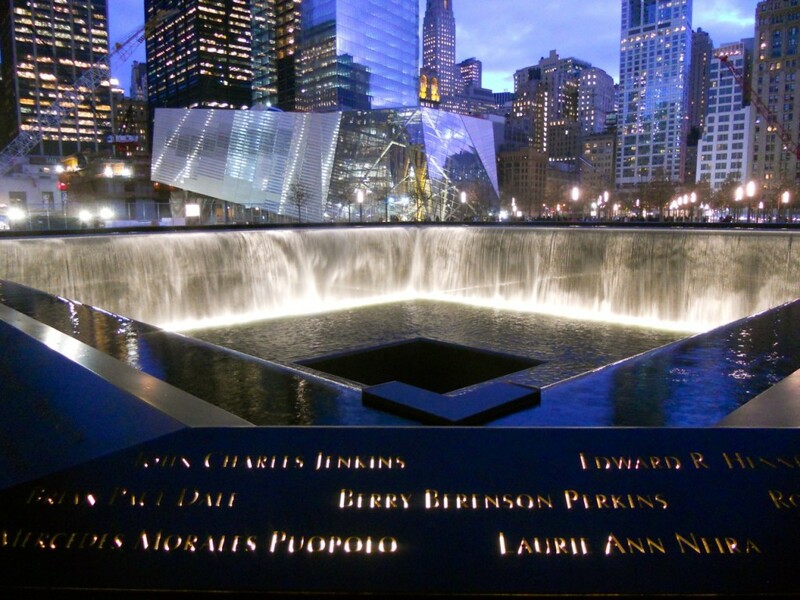 Oh, and don’t forget your camera – you’ll want to capture your New York memories forever. Bon Voyage has been arranging trips to New York for over thirty years, both as a city break and part of a multi-centre holiday.